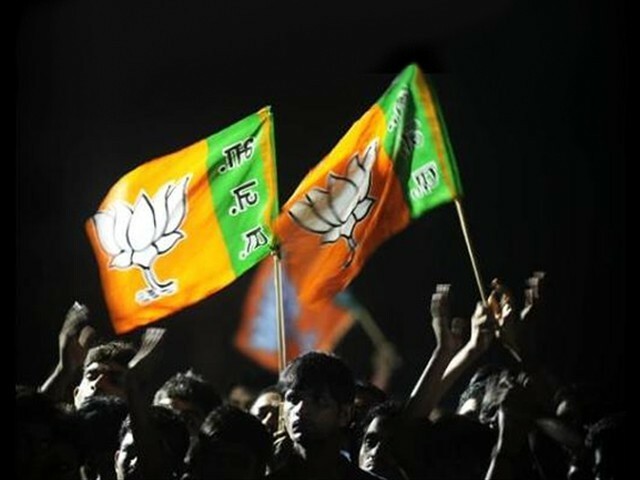 While riding high on the Modi wave, the Hindu nationalist Bharatiya Janata Party (BJP) swept the 2014 Indian general elections (parliamentary and Lok Sabha polls) and formed a stable government in New Delhi. But quite amusingly, the saffron brigade has now set its aggressive eyes on ‘Mission Kashmir’. Not only does the party intend to secure victory in improbable 44 assembly segments out of a total of 87, it also has a plan to install a Hindu chief minister in Muslim-dominated Jammu and Kashmir. The five-phased assembly elections in the disputed Himalayan region are scheduled to commence from November 25, 2014. Just weeks after the devastating floods hit the Kashmir Valley on September 7th, BJP unveiled its over-ambitious plan to win 44 assembly segments in Indian-administered Jammu and Kashmir. With all guns blazing, the right-wing BJP is busy with the over passionate election campaign. The party refers to its plan for Jammu and Kashmir as Mission 44 through full page newspaper advertisements and messages on various media, including social media. So, what exactly is this ‘Mission 44’? And how can BJP translate its political reverie into reality? Mission 44 is all about securing at least 44 assembly constituencies – a magical number required to form a government in an 87-member strong Jammu and Kashmir legislative assembly. 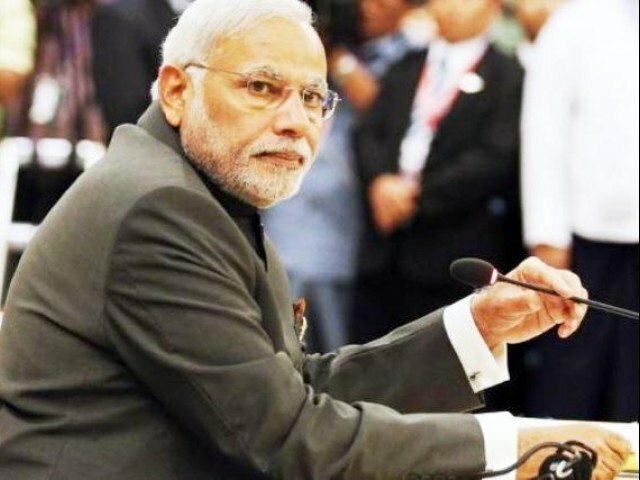 The grand plan includes reliance on mass scale voting in the Jammu province and the Buddhist-majority Ladakh region, and an election boycott in the Muslim-majority restive Kashmir valley. Amit Shah, Prime Minister Narendra Modi’s right hand man and also BJP president, has on several occasions expressed his party’s desire to form a BJP-led majority government in Jammu and Kashmir. Mr Shah visited Jammu on November 20th and 21st with a possible intention to polarise votes in the region. He appeared confident that his party would bag more than 44 assembly seats, while his speeches focused on issues like corruption, and ending dynastic rule of the Congress, National Conference and Peoples Democratic Party (PDP). He claimed that there was “overwhelming response” in BJP’s favour in all three regions of disputed Indian-administered Jammu and Kashmir. He launched BJP’s election campaign and addressed a rally at Ramban. So how realistic is this mission? In the 87-member legislative assembly, Kashmir valley accounts for 46 seats. It is, therefore, almost next to impossible for BJP to win even a single assembly constituency in Kashmir. The party has a vicious plan though. It is hoping for a huge success of the election boycott campaign announced by the pro-freedom and resistance forces in Kashmir valley so that not many people come out to cast their votes, which gives BJP an outside chance to win a couple of seats in Kashmir by ensuring that the majority stays indoors but the migrant Kashmiri Pandits cast every single vote in its favour. Most of the Pandit voters (migrants) will cast their vote in 26 special polling stations made available in Jammu, Udhampur and New Delhi. However, not every Kashmiri Pandit is a BJP fan. Meanwhile, BJP has fielded a Kashmiri Pandit businessman named Moti Kaul, from the Habba Kadal constituency, a radical named Ashok Bhat from Khanyar, Dr Hina Bhat from the important Amira Kadal constituency, and Daraksha Andrabi from Sonwar. All four of these constituencies fall in Srinagar. They have also gotten hold of Tral, an assembly segment in South Kashmir, with Sardar Avtar Singh as its representative. Pro-freedom and anti-India sentiment run deep in Tral, a hotbed of active and former militants, Sopore, a bastion of resistance leader Syed Ali Shah Geelani, alongside most of the assembly segments falling in the summer capital of Srinagar. According to the estimates, there are about 92,000 migrant Kashmiri voters across the Kashmir valley. Thus, BJP is trying every trick in the book to lure these voters in its favour. But what is BJP’s mantra? What promises have the BJP leaders made to the people of Jammu and Kashmir? On November 19, the former BJP President and currently the Federal Home Minister of India, Rajnath Singh, addressed an election rally in the mountainous region of Kishtwar in Jammu, and declared Article 370 a “national issue”. This Article explains Jammu and Kashmir’s conditional and controversially constitutional relationship with the Indian Union and also the region’s special status. BJP wants to abrogate Article 370 with an aim to fully merge Jammu and Kashmir with India. According to Singh, the party is not interested in addressing this issue during election season. In what could well be described as an attention grabbing sound bite, BJP’s candidate from Amira Kadal, Dr Bhat threatened to pick up the gun, AK-47 rifle, if Article 370 was revoked by her party. In the last assembly elections held in 2008, the Jammu and Kashmir National Conference (JKN) emerged as the single largest party winning 28 seats, while PDP won 21 and stood second, and the Indian National Congress (INC) emerged triumphant in 17 assembly segments while BJP settled for 11 seats. The rest of the assembly constituencies were won by the Jammu and Kashmir National Panthers Party (JKNPP), the Communist Party of India – Marxist (CPM), the People’s Democratic Front (PDF), and independent candidates. The JKN and the Indian National Conference were successful in forming a coalition government as Omar Abdullah became the chief minister in early 2009. As more than 1.5 million people were directly or indirectly affected by the massive September floods, the worst in Kashmir’s living memory, it was assumed that the assembly elections would be postponed to allow a smooth relief and rehabilitation process of the flood victims. That, however, did not happen. Instead, a team of the Election Commission of India (ECI) headed by Deputy Election Commissioner, Vinod Zutshi, visited Jammu and Kashmir on October 7th to meet various representatives of different pro-Indian political parties in Jammu and Kashmir to review the post-flood situation. A decision was taken to conduct Jammu and Kashmir assembly polls in a phased manner, beginning November 25th. Ironically though, the government postponed the annual examinations of all primary, middle and higher secondary classes until March next year, citing the devastation of infrastructure caused by the floods as the main reason. All said and done, there are not even bleak chances for the BJP’s Lotus to bloom in the Kashmir valley – alcove of Sufi saints. There is a reason why causes like Kashmir taken up by the leader of the Ummat-e-Muslima, which are illogical, unethical and immoral and if I may say unIslamic, are bound to fail spectacularly. The ugliness of Kashmir cause is rendered void just with this ugly statement by the blogger. Modi is playing with fire. Even if is party manages to secure a victory, it will only increase increase anti-India sentiment if he tries to revoke article 370. Author’s prophecies take me just six months back,when LS elections results were being announced and later to MH and HRY elections.Shock results seem to be the flavor of the season. And what would be your state of mind in case BJP wins ? BJP not winning had been predicted by many like you in past and so far it has sweeping records. I am looking fwd to see if win in Kashmir. Not because it is a “Hindu” party as it used to be in past. But simply because we need stable governance in country and it can’t be obtained with Congress or it’s stooges being CM of any state. I did not quite get the purport of this article. Perhaps I did not read it attentively enough. Kashmir is part of the assembly and I think(in my personal opinion) that BJP has the same right to look for votes there as has any other party. Being a Hindu party should have nothing to do with that. also I would like to go further to say that if they can assure the people living there that BJP will bring them prosperity then they should get their votes. “migrant Kashmiri Pandits cast every single vote in its favour.” now that you have brought it up. The real custodians of Kashmir are the Kashmiri pundits descendants of Rishi Kashyap after whom Kashmir is named. The Muslims are the migrants who came a few hundred years back and in 1980s chased the Kashmiri pundits out of the Kashmir valley. Make it four,if you consider one of the two acting presidents of India Mr M Hidaytullah(1969) who was at that time the sitting chief justice of Indian Supreme court .Further there have been instances when Muslim leaders like CH Mohammad Koya(Kerala),Syeda Anwara Taimur(Assam)Abdul Gafoor(Bihar) and AR Antulay(MH) have honored the posts of Chief Minister in Indian states…the average population of Muslims in these states is less than 25%..
Why do muslims believe they have the birthright to openly discriminate against non muslims? If anti-india sentiment increases twice as much in the valley, who is the ultimate sufferer ??? This has never been a pan-Kashmiri struggle. Its been a Muslim oriented struggle. You never see rallies and stone pelting in Ladakh and Jammu. Seperatism in Kashmir is more of an Islamist struggle, like the kind seen in Pakistan. The amazing this is so many supposedly liberal, anti-Terrorism Pakistanis support this Islamist struggle for dominance in Kashmir, vow to fight the same phenomena in their own country. 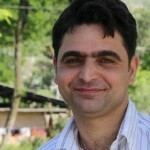 This Author too was using the words Kashmiris in his previous blog entries. But, where are the Pandits and Buddhists and Sikhs? Why are they voting for a party which wants to abolish Article 370? Pakistanis should stop using the word Kashmirs for it conveys the wrong impression. They should be more specific when they talk of Kashmiris and use “Islamism” or “Islamists who want to want seperatism” or “Pro-Sharia Islamists” or “islamist militants”. They don’t like it because it’ll hurt the brand “Kashmir Seperatism”. “Kashmir Seperatism” is will turn out to be a lie. It will be another case of “Islamic Seperatism”. Yet another one which the civilized world has grown tired of. cannot do anything unless cleared by their hindu overlords. Having a Muslim CM for past 68 years is not hegemony, but talks of having a Hindu one for the next 6 years is Hindu hegemony. Anti-India sentiment will increase? More like Islamist sentiments will increase and hatred of non-Muslims will increase, which translated to anti-India hatred. On the other hand non-Muslims will start voting en bloc and will unite them. They form majorities in 2 out of 3 portions of J&K. And what power do presidents enjoy in India? Beyond ribbon cutting and delivering boring lectures. In India, the real executive power rests with the PM not the president, just like in the UK. So these are nothing but fancy showpieces to show to the world how (pseudo) secular we are. Must you really parrot such statements? Must you really think that you should pander to India hating war mongers? Must you really think that a Hindu CM in Kashmir is a disaster? Must you play in so blatant a manner this communal game? Must you reduce every Muslim in India and elsewhere an idiot by assuming that she/he will be pleased by what you write? It is perfectly fine in a democracy to have a leader who does not represent the race/religion of the majority population. e.g. Obama in the US, AK Antony (a Christian CM of Kerala – where Hindu+Muslim comprise 70% of the population). If you only want majority religion to have the CM post, then you either want a theocracy or non-secular governance model. Sadly for you either of that is not possible in India. So, BJP’s “vicious” plan is to give voting power to the Kashmiri’s who were forced to leave their homeland by terrorists. Are you suggesting that Kashmiri hindus should not have voting rights? Is BJP inciting terrorists in the valley to affect the low voter turn-out? If not then how the plan is vicious? If that is how you see it….possibly that is how it is…..but then the author sees it differently ….and possibly THAT is how it is. now when you have effectively declared all Presidents and Chief Ministers as rubber stamps,i am sure you would have same views for Chief Justice of Supreme and high courts,Chief election commissioner,Cabinet ministers,Air Force Chief,Chief Information Commissioner and Cabinet secretaries and Chief of Intelligence Bureau,some of the posts which have been occupied by Muslims in India at different times.also may be ‘the richest Man’ is a honorary title in your view,just like those Muslim Superstars of Bollywood,every one of whom commands a signing amount,equivalent to the annual turnover of whole Lollywood put together…..
Post Godhra riots happened after Hindus in trains were burnt alive. You wanted what caused the Massacre, this did. Again, like in West, some communities are acting violently. Now, my turn. You did not answer my question earlier. You went ahead and asked me about an incident in 2001 suggesting it is the reason for something which has been happening since 1947, increased in 1990 – Persecution of Pandits. What does Godhra have to do with Pandits being massacred on such large scales? Or, do you care only about the lives of Muslims? Then, why did Zardari and Musharaff both opted to be Presidents of Pakistan? Pakistan too has a Westminster style Parliamentary Democracy like India. Presidents are not toothless, they have a certain job to do and they do it. He is the protector of the Constitution, but I don’t expect you to understand that. How many Constitution has Pakistan had? In the meanwhile, you can write to your Supreme Court asking them to abolish the Presiden’t chair since it too is toothless. There is no bill in India which become a law without Presiden’t signature. That is pretty powerful. I am sure the author has no compunction about minority Muslims invading, occupying, subjugating and ruling over a huge majority of Hindus over a period of 800 years. But, he has a problem if a non-Muslim becomes a chief minister in a majority Muslim state. Please take a stroll through Old delhi and look at the neglect, the squalor and the complete absence of infrastructure by the government. Perhaps Delhi has been far away from ‘Vikas’, so why not take a trip to the largest Muslim ghetto (Juhapura) in Divided Ahmedabad, that very city that was home to our ‘vikas purush’ (Development man). Back in 2010 it was in stark contrast to it’s immediate neighborhood. Forget about public schools or roads but heck there was not even proper street lightning. And when you compare the public investment and infrastructure in its neighborhood one realizes it is deliberate. Have you tried applying for a loan from a bank with a Muslim name? or perhaps applied for a passport and had to take a trip to the nearest police station with the said name? Or have seen with your naked eyes the bias shown by these cops during incidents of communal rioting? The kind of ‘acceptable’ muslims are the like of Shahrukh or Salman having mixed families or Abdul Kalam azad who was open that he also reads the Gita along with the Quran daily. Don’t get me wrong. I’m not against these individuals they are free to do what they want. But then these are very ones that are somewhat acceptable to the populace in general and even they are at times questioned for their ‘patriotism’ like Shahrukh was. People who hate Modi/Hindutva groups/religious extremists/anti-minority fundamentalists/sangh parivar/bajrang dal/vhp/rss/bjp DON’T hate Hindus. Don’t stereotype the general, peaceful Indian Hindu population with saffron goondas & saffron terror groups. So you why don’t you write a letter to your Supreme Court and PM asking them to abolish this rubber-stamp chair? Will save them a lot of money..
Tell how bad the Muslims have it when Bangladeshis try to sneak into India. You will find illegal Bangladeshis all over India. And, how many Muslims from India sneak into Pakistan? The state of Muslims is bad all over the world where they are not in a majority and have no oil, except for a few exceptions. In UK, % of Muslims in jail is higher than their population percentage! Pakistani slums too have 100% Muslim don’t they. Per capita income of Muslims in India is much higher than Pakistan or Bangladesh. How can I deny facts. Facts are facts. 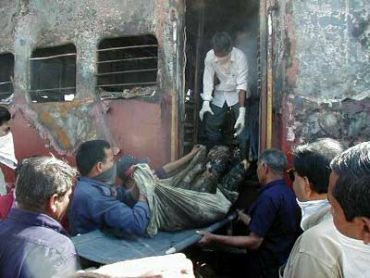 While you can’t even admit the plight of Pandits and Godhra train massacre, I a Hindu recognize the carnage after Godhra train massacre. Girls were raped. Male Children were Killed. One ‘Laash’ by Afghan-rented-militants and a ‘Shababshi sum’ from Delhi. IF there will be, some time, an award for most Brutal-Genocide in History. The ironic-optimism you are showing for the people who are fighting for there basic rights from many years. Kashmir wants to be Part of Pakistan. From the very first day India is kind of jealous. Do you ever read about that Plebiscite sections that had to be followed by India legislated by UN? you most certainly have no clue whatsoever do you? First of all, not all kashmiri’s want to be with Pakistan. Secondly, have you read the UN charter? The first statement says that Pakistan will have to vacate forces from Pakistani side of Kashmir, then it has to vacate all the punjabi settlers in GB. Can you do that? Less Muslims have died in Gujarat in 10 years combined than any city in Pakistan. Two wrongs don’t make a right. But when did I justify this massacre? I simply laid out the reason for post godhra riots. I am not he one who practices selective humanity – ignore plight of pandits, but talk about Kashmir. Ignore godra train burning but talk about only post godhra riots. Off all the comments from you I’ve never seen one which actually admits the plight of Kashmiris Pandits. You have spent time trying to convince me pandits were in neglibible numbers in PoK. Well, just type per capita income india and google will show you that India’s per capita income PPP has always been around 33% less than that of income for the entire 20th century. It overtook Pakistan somewhere between 2005 and 2006 (google will show you a chart and you’ll have it clear by then). Secondly knowing that Muslims have been the most poor community in India, you must know that an average Indian muslim must have been much poorer than his Pakistani counterpart for the entire 20th century. Which definition of Pakistan are we taking here? The 1947 one, or the 1971 one? If the 1947 definition of Pakistan, then India has been ahead all along. Pakistan has been a rentier state for the West and has no institutions to speak of. The only way it grew and maintained a higher average income is by getting Billions from the West. When the dole dried up, Pakistan faced reality. Like Saudi Arabia has Oil, but no Human Resources nor any notable centers of learning nor any institutions to fall back on, Pakistan is only slightly better on all these counts. Pakistan had the Western Aid in stead of Oil. If you give an illiterate man millions, he will eventually spend it all and he will go back to square one. But, India didn’t those Billions in Aid, it has its people and institutions to fall back on. you mean to say all Indian Muslims live in Ghettos ? Pakistan started getting big doles from the west during the Afghan Jihad which was designed by the CIA,ISI combine to deal a fatal blow to the USSR notwithstanding the collateral damage to the civilian population. And this was the late seventies. How does that account for the PPP differences in the 50s to the late 70s. Even then in a country as corrupt as Pakistan, you cannot expect those doles to trickle down to the general populace. It is all gobbled up by the likes of Mr. 10%. The Pakistani politicians may not actually be running the show but they sure are at it when it comes to swindling money. Sadly my attempt to educate you out of you ignorance was not allowed. 1 Billion a year 1965! Adjust inflation of around 7% per year, what about be the value be in today’s terms? $30 Billion? $50 Billion? Imagine Pakistan getting $50 Bil in a single calender year today! So, US has basically bankrolled Pakistan’s Budget, especially in the 50s and 60s. No wonder it had better HDI than India! India didnt have a sugar daddy and concentrated on building institutions and Democracy.